A recent comment on the Vinous forum concerning coverage of the Loire reminded me of one of the best bottles I drank last year. Now, I’m no expert on the Loire, but I adore the wines and wish I had more time to visit the region. One of the most revered producers in Vouvray is Domaine du Clos Naudin, founded by Armand Foreau in 1910 and run by his grandson Philippe since 1983. Their 11.5 hectares of vine are farmed organically and produce sparkling, dry and sweet wines, depending on what Foreau feels nature has given him. The Goutte d'Or is the finest of three sweet cuvées, and it is highly sought after, with prices to match, partly because it is rarely made. In fact, just four vintages have ever been produced – in 1947, 1990, 2011 and 2015. 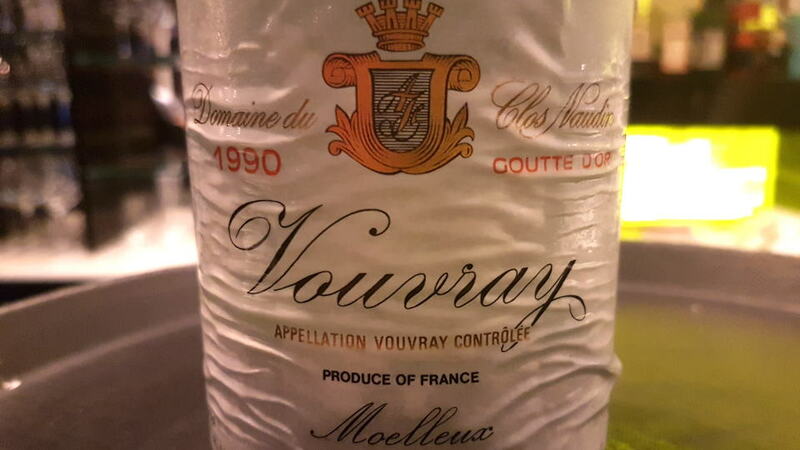 The 1990 Vouvray Moelleux Goutte d'Or was picked at the end of October in one sweep through the vines. It underwent no triage and only light pressing, and probably contains around 170gm/L of residual sugar (I have no exact figure). Iridescent in the glass, it shows disarming purity on the nose, offering fragrant, exquisitely defined scents of quince, elderflower, caramelized pear and white peach. The palate is effortlessly balanced and precise, and again, ineffably pure, maintaining astonishing tension from start to slightly viscous finish. Hints of fig linger tantalizingly on the aftertaste. To be honest, this Vouvray verges on faultless and is a magnificent achievement. 99/Drink: 2019-2050.